The FT02R-W is a limited-edition model of SilverStone's standard FT02. The model we've reviewed here is actually the WRI version (RI standing for red interior). Unlike the many limited-edition cases we've seen over the years, the additional bling the FT02R-W is equipped with is actually welcome, very welcome in fact. 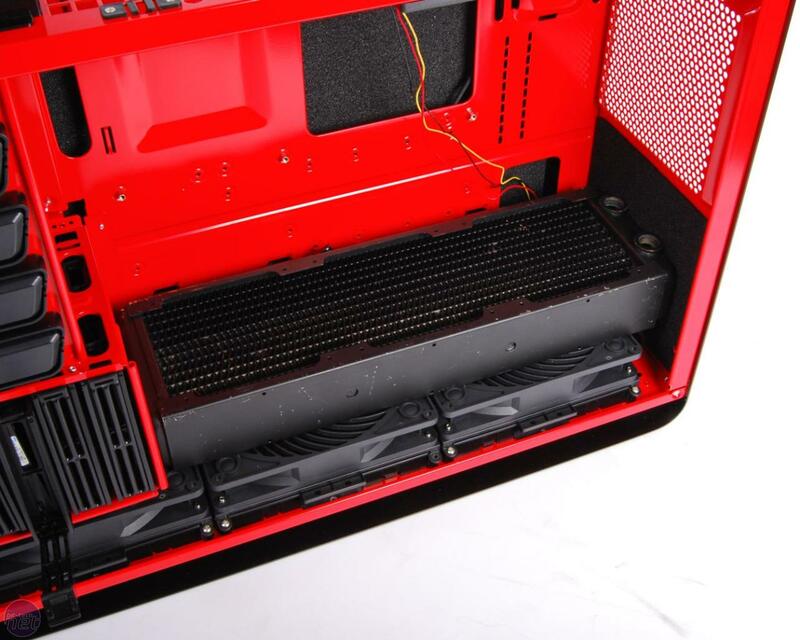 The inside is a glossy red instead of black, which looks fantastic and opening the box for the first time felt like receiving a case fresh from the powerdercoaters, rather than a case off a production line. 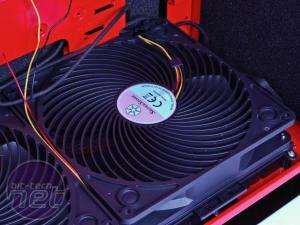 More importantly for cooling, it includes SilverStone's highly popular 180mm Air Penetrator fans. 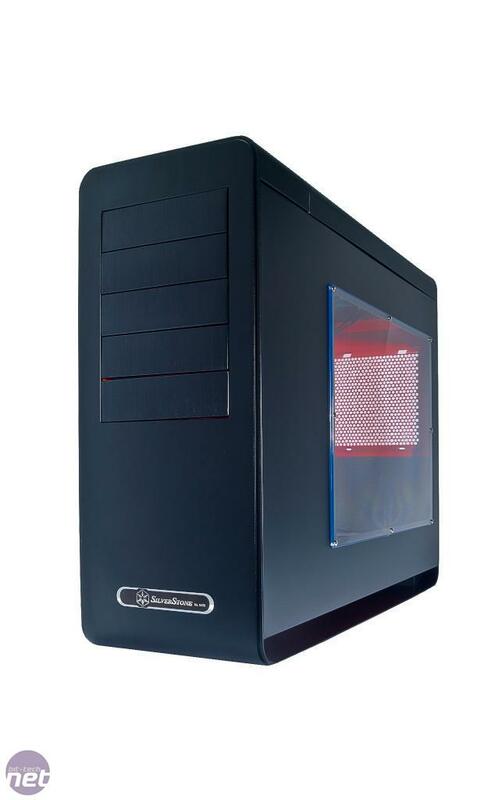 These monsters have special grilles that help to prevent air from escaping to the side, which makes for a more direct flow of air coming into the case. We've seen the fans in action in demonstration videos, and can confirm that almost all of the airflow stayed within a few degrees of the fan. It would be interesting to see how these performed on water cooling radiators too but SilverStone claims that air travels further as a result too, making it ideal for use in air cooling and in the FT02R-W in particular. 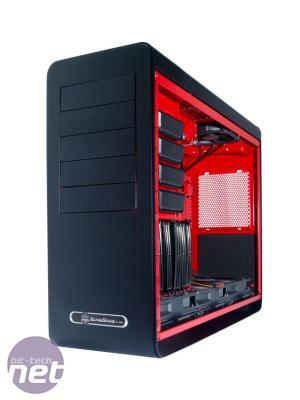 SilverStone told us that it intends to upgrade the standard 180mm fans in both the Raven RV02 and FT02 so depending on how the FT02R-W fares, these cheaper cases might be worth waiting for, particularly as there will only be a few hundred samples of the FT02R-W available the U.S and U.K.
Each of the fans is protected by a large removable dust filter and as a 120mm exhaust fan is located above the CPU socket area too. 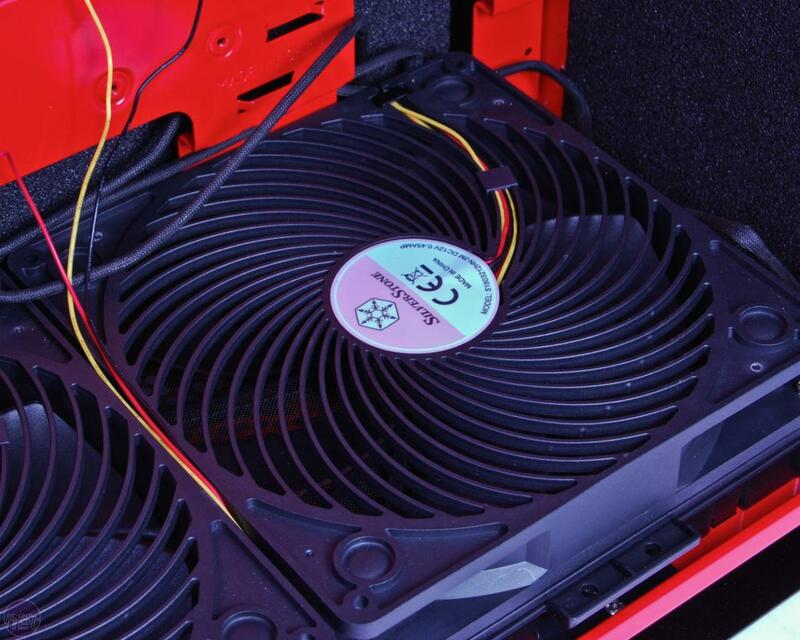 This should help to remove hot air from the case more rapidly but there's a huge mesh panel in the roof too. 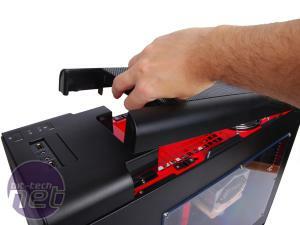 Build quality is superb - the front, base and rear are made of a single piece of 4.5mm-thick aluminium. 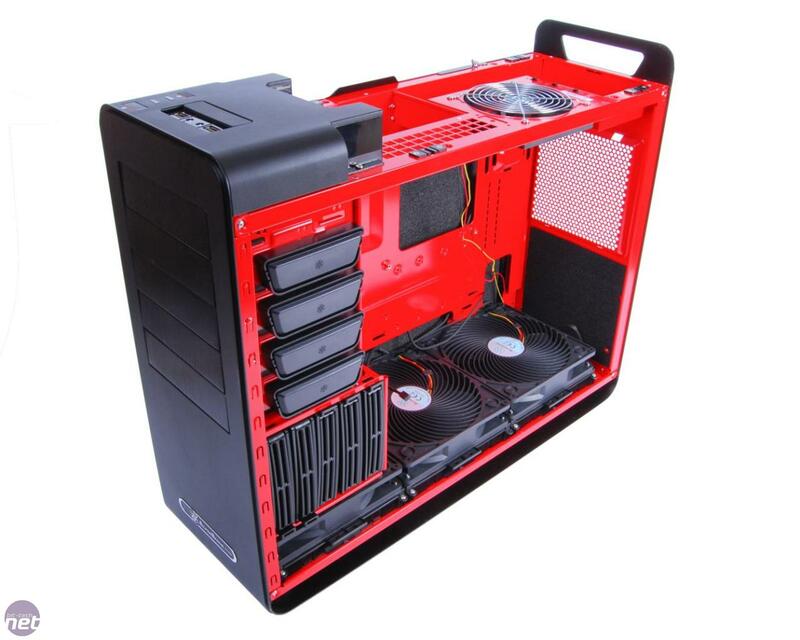 The roof has to be removed in order to access the case. This reveals the thumbscrews attaching the side panels, plus a 3-channel fan controller as well as the expansion slots and I/O panel. 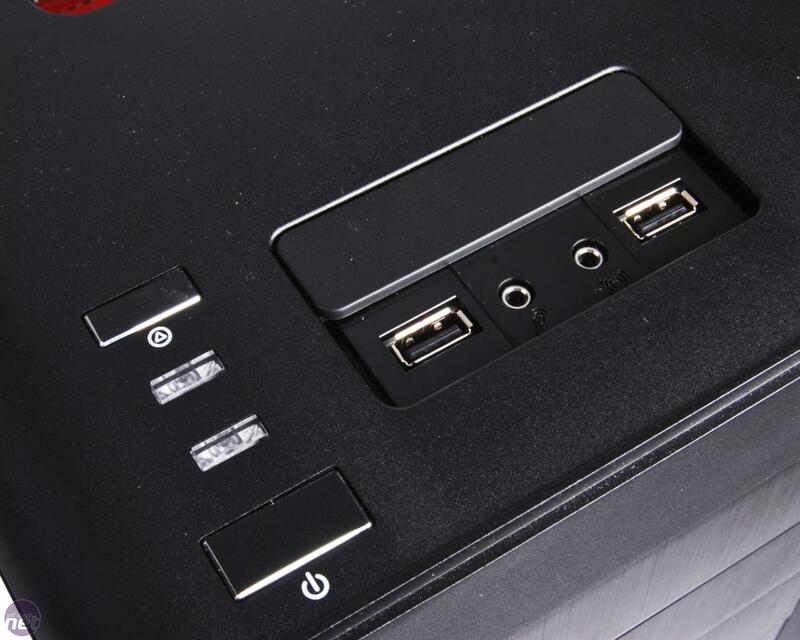 As the motherboard is rotated through 90 degrees, cables need to be routed under the top panel and out of a small gap at the rear of the FT02R-W. 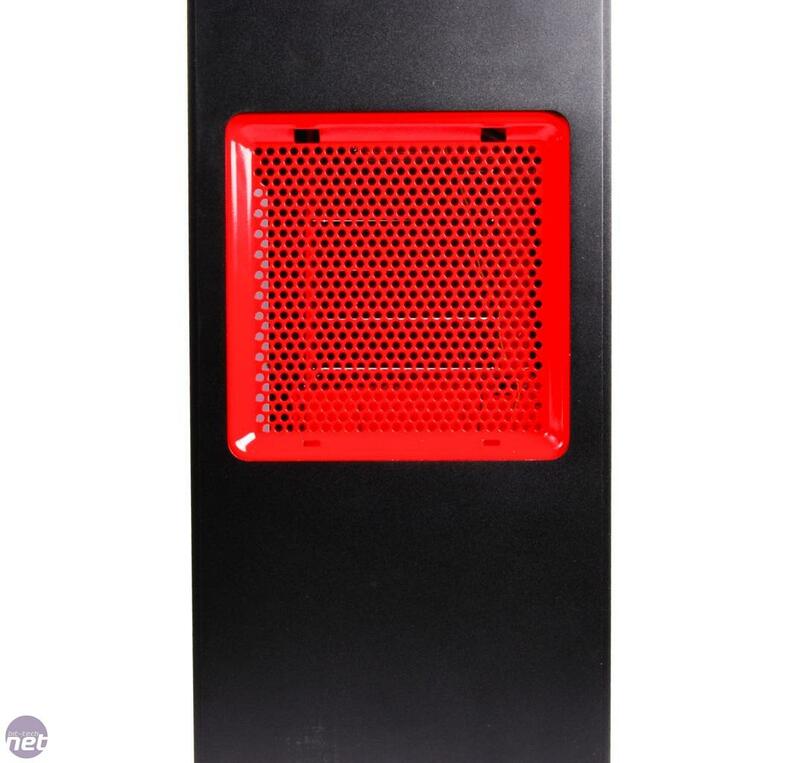 The top panel may allow dust to enter the case over a period of time, but even with the fans on low speed, airflow is significant, which should prevent this from becoming a major issue. 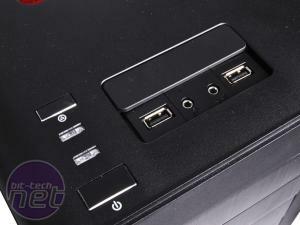 The top of the FT02R-W has two USB 2 ports, and headphone and microphone jacks, which can be hidden under a sliding cover. Although the power and reset buttons are flush with the top of the case, they're easily activated, so accidentally pressing them is a little too easy for our liking. 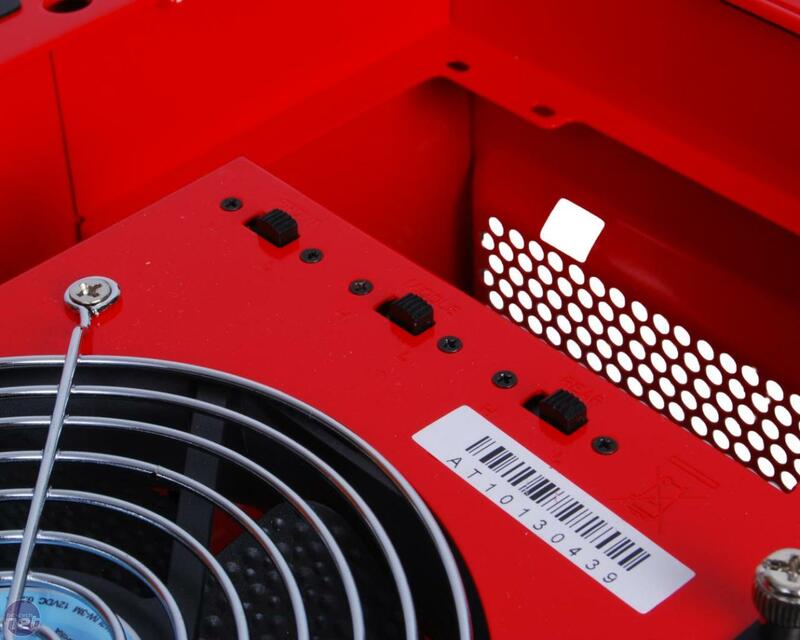 The large aluminium body curves in a U-shape beneath the main frame, providing a gap slightly larger than 1in on either side of the case through which air can be drawn into the three Air Penetrator fans. 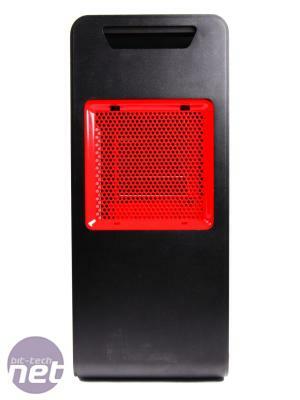 The striking red interior is visible via a huge window in the right side panel. There's plenty of space to work with inside, with ample cable-routeing holes. The aforementioned 3-channel fan controller is connected to the three Air Penetrator fans. At low speed, the FT02R-W is inaudible from more than a few feet away, but even at high speed, as the fans are in the bottom of the case, much of the noise is subdued, so it isn't unpleasant to have nearby. 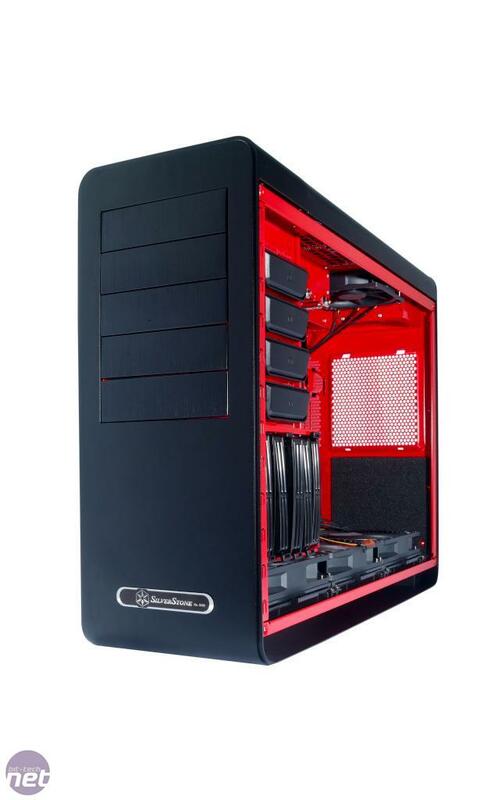 Both standard and limited edition models of the FT02 include noise-insulation foam on both side panels, and in a few places on the front and rear panels. 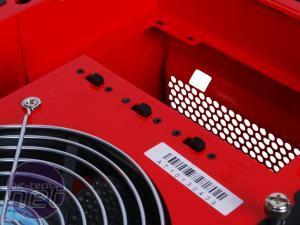 They also have five removable 3.5in drive trays in single cage - two more than the Raven RV02. 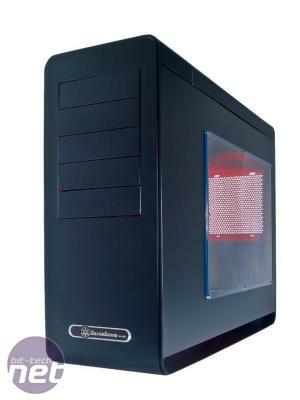 There are five 5.25in drive bays, four of which sport tool-free push-clamps to hold optical drives. 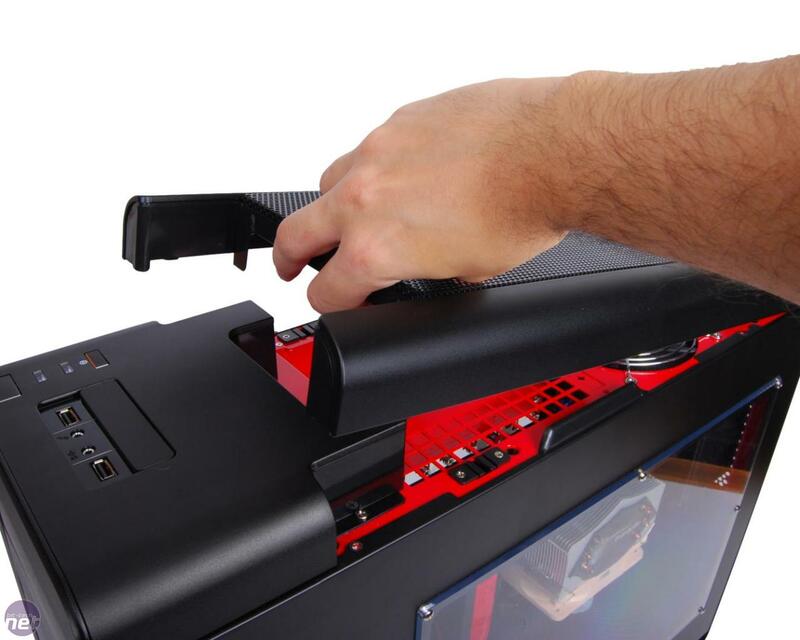 SilverStone bundles brackets in the box that allow you to mount up to a triple 120mm-fan radiator to the Air Penetrator fans. 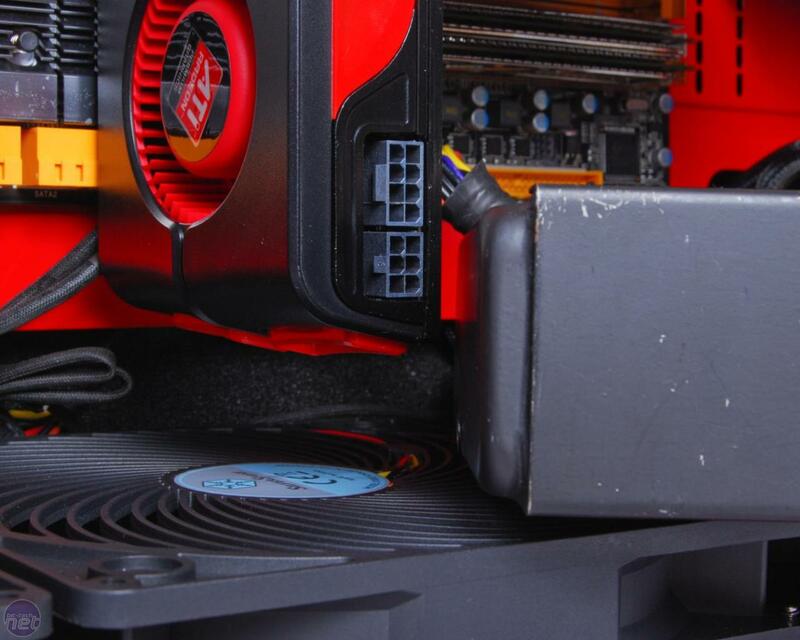 Using 10.5in-long graphics cards will mean that you're limited to radiators no deeper than 30mm (60mm radiator shown above), but 9in graphics cards will allow radiators up to 60mm deep to be fitted. 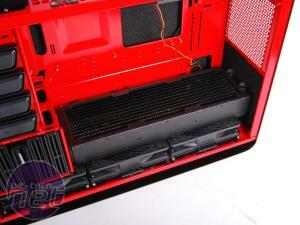 However, the radiator will dump the heat back into the case, which is far from ideal. 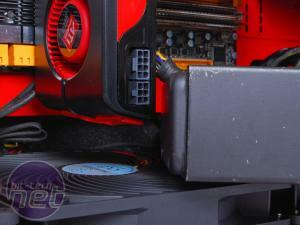 As a result, the classic SilverStone TJ07 remains our first choice for a water-cooled PC. 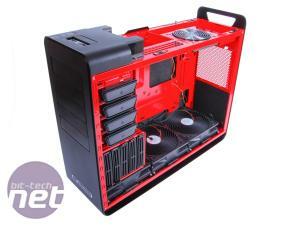 Antec returns to its popular Performance line of cases with the new, aluminium fronted P280.